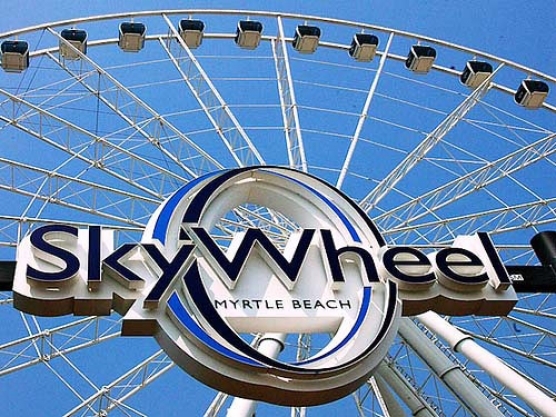 SkyWheel Myrtle Beach is 200-feet above sea level. Take a flight overlooking the Atlantic Ocean and the Myrtle Beach Boardwalk in one of our 42 climate controlled and fully enclosed gondolas. Situated as a centerpiece of the 1.2 mile-long Oceanfront Boardwalk and Promenade, the SkyWheel is surrounded by some tasty eats, great shopping and the pristine sands of the Atlantic.